A curious incident of the iPhones in the hospital: A post in r/sysadmin by a hospital IT admin tells a strange story: devices in his hospital either died completely or lost important functions on the same day. Oddly, all these electronics had only one thing in common: they were all Apple products. Why did all the Apple products in the same hospital die on the same day? This is the alleged mystery that Eric Woolridge, a systems administrator at the Morris Hospital in Chicago had to unravel. This apparent phenomenon arose after a new MRI was installed on the campus of this hospital. By the end of the day, its IT division was plagued with complaints that their devices had stopped working. Initially, Woolridge naturally assumed that the new machine had had a failure of some kind in its electromagnetic shielding. However, for this to make sense, it would have knocked out all of the personal devices in the building, not just the Apple ones. 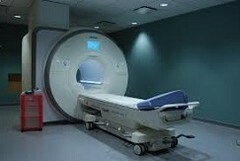 Eventually, the system admin concluded that there had been a leak of a kind related to the MRI. It seemed that the helium gas found in these machines had escaped while its magnet was being initialized. This explained why only Apple devices were affected. The Cupertino company uses microelectromechanical sensors (MEMs) as CPU timekeepers as well as the gyroscopes these components are designed to be. The helium gas was capable of getting through the hermetic sealing on these MEMs and destroy their ability to function properly. This may be why the Apple devices affected either died outright or lost important functions such as cellular connectivity. In his Reddit post detailing this even, Woolridge asserted that 90,000 cubic meters was released from the MRI machine into the hospital. On the other hand, we have little but his word to go on that all this actually took place. Nevertheless, it has been picked up by Motherboard, 9to5Mac and iFixit. If nothing else, this tale or mysterious smart device massacre may be a cautionary tale of how some technologies just don't mix.